Welcome, or welcome back, to my newsletter. In the photo above I'm watching with anticipation as a beloved teacher opens a gift from our class at the completion of a year's training. Are you letting your teachers and helpers know how much you appreciate them? Today's issue has an article on the importance of self-care. Enjoy! To many people, the concept of "self-care" means pampering, lazing in luxury while taking a bubble bath or receiving a massage. Yes, these activities constitute self-care, but so does spending time with people who love you, or simply getting enough sleep! In our accomplishment-oriented modern culture, we can often be overly focused on "getting it done", and neglect the doer, namely ourself! We can rely on caffeine to give us artificial energy, when what we really need is more sleep or a healthier diet or going at a more reasonable pace. Are you rushing most of the time? If you're running on adrenaline, yet not living in a war zone (except the one you've created in your mind), this is not good for you. I've had a few friends who are usually in overdrive tell me that when they went away on vacation, they spent the first half of it sleeping! If you're racing through Life, I guarantee you're not only hurting yourself, you're missing some golden moments you won't get back. I used to be rushed and stressed myself, especially when I was in a corporate job. No matter how much I did it never seemed like enough. Working for myself now, I am probably more productive, and quite busy, yet I rarely feel frantic. Self-care has become a priority for me, a primary focus so I can continue to do my best every single day. What are my self-care tools? Daily meditation, twice daily when I can fit that in. This is near the top of my list, and I credit it more than anything else with reducing my strong lifelong anxiety. Next is exercise. Though I'm not running obsessively any longer, I work out with light weights every other day, and make sure I walk and stretch regularly, not spending hours non-stop sitting at the computer. I spend time outside, even in colder weather, as there's something about Nature that both energizes and comforts me at the same time. Finally, I maintain my connection with some close loving friends. I invite you to take an honest look at your life, and see where it might be lacking in self-care. Don't blame yourself -- you've been doing the best you knew how to do. Yet isn't it time to put yourself first now? It's not "selfish" to take care of yourself -- you'll actually be better able to give to others if you're emotionally and spritually nourished. And who deserves that more than you do? To read about how self-care directly affects vision, click here. 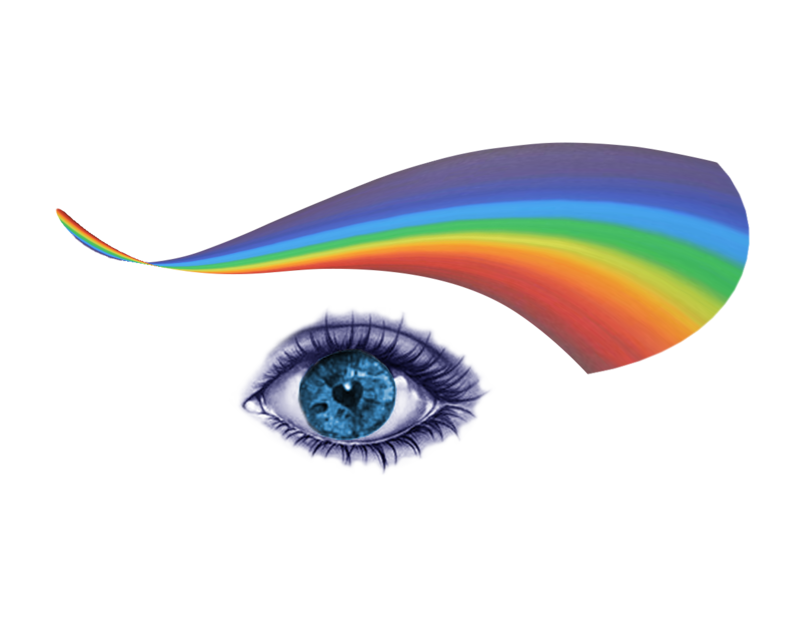 Let me know what you've wondered about concerning vision or dreams or energy medicine, and I'll be glad to write a future article on that topic. Thank you to those who see a question you asked me in a private session written about here. You're helping many other people! Enjoy the second half of your February. I'll write again in a few weeks. Take care!